We have never been the design team that spends money to spend money. Sure it's nice to have a hefty budget but we pride ourselves on finding and carrying lines that are stylish and well-priced and mixing in inexpensive, good-looking items with high quality, pricey pieces making it all come together in one, seamless space that flows and all looks expensive. For that reason, we got super excited when we found this article about splurging and saving because it's so true! There are just certain things that you really don't need to spend the money on and there are certain things and you really DO need to spend the money on. So here's a list to help you make that decision next time you've got your eye on that piece you love and you can't decide whether or not to take the leap or keep moving. This first one is a hard one because it's a really big ticket item but it really is a good investment. Upholstery. And we're not talking every single upholstered piece in your home, we're talking about the main pieces in your family room that you use almost every day. These pieces should absolutely be quality made or else they won't withstand the test of time. The good news about upholstery is that it can always be re-upholstered so, in theory, you could get away with never buying another sofa again! On the flip side, accent pieces like side tables and cocktail tables are good pieces to save on. These are smaller items that can be swapped out a little more frequently than the large furniture and it just doesn't make sense to spend a lot of money on them. New styles and looks can be found just about anywhere and what's trendy may change quickly. Save your money on these items they're really more functional/filler pieces anyway. In the kitchen, your main focus should be a quality, classic cabinet. Just like the upholstered furniture for the family room, a real wood cabinet can be refinished and refaced multiple times to accomplish different looks without having to replace the entire kitchen. A fresh coat of paint or stain can give new life to interior pieces that were thought to be dead. Don't underestimate the power of color. Also in the kitchen but much less money worthy is the back splash. 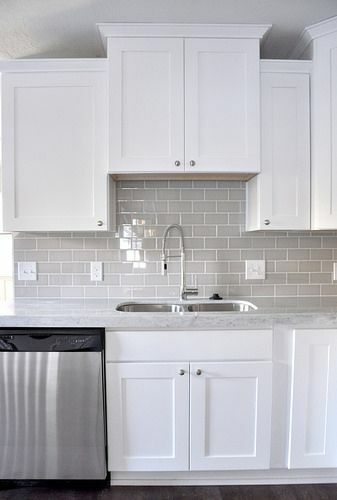 Don't get us wrong, a backsplash IS important in the kitchen. It's the finishing touch that takes the kitchen up just one more level, but the tile is not worth blowing the budget on. There are SO many different tile companies, styles, and colors out there that you can absolutely find something lovely for your kitchen that doesn't put you in debt. Trust us. It's out there. Finally, in the Dining Room, your money should go into your dining table. This gathering piece is the heart of the family room. Not to mention, it's the biggest item in there (usually) and gets the most "screen time". Don't be scared to pick something that will be heavy and expensive. It's the grounding piece for the whole room and needs to be just right! However, the dining chairs on the other hand don't need to be something to brake the bank for. Even the most expensive chairs have imitations and, again, they're just an accessory or way to accentuate that table so you don't want to pick anything that detracts. There are plenty of options out there that for the amount of time they'll probably be used, don't do it. Get something comfortable but cheap and cheerful and you'll come out ahead in the end for sure! Hope that helps you decide which items to focus on if you're doing your own design project. It's all about balance and priorities. Straight from the Designer | All the Tips! We've had all sorts of craziness here in the past few weeks. The main thing is a major hurricane but that caused power outages, roof damage, mass chaos in the stores, food shortages, water damage and just a general upheaval of life as we know it. We are finally getting back to normal although it's taken weeks. Since things have been a little backwards, upside-down, crazy lately, we're keeping tonight simple. Just some good ole' design tips to get your creative juices flowing and maybe motivate you to spruce up your home for Fall. It IS October 1st, after all. So we hope you'll enjoy some of these helpful hints! Some great advice that we've received is that, no matter how you design your home, you should always be sure it has these three important things--function, comfort, and a true reflection of your personal style. Unless you live in a model home, it can't just look pretty. It has to work. So consider how you use your space before you take steps to design it. Function can be achieved a number of ways but one of the big ways is by using pieces that serve multiple purposes. 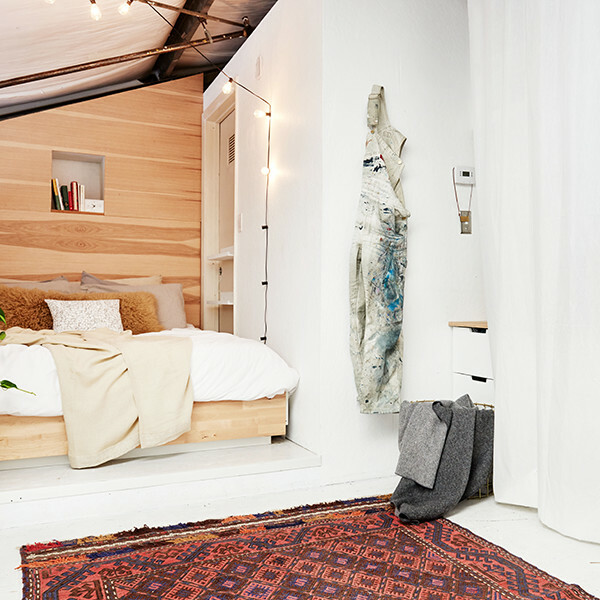 This is key for small spaces too. Benches with storage, small moveable pieces like ottomans and chairs that can be used in one area but easily moved to another, hooks & shelves. All of these things are elements that will keep your home functional and livable but also tidy. And if you pick pieces that are pretty, you'll be able to kill two birds with one stone. Plants are always a yes. It doesn't matter what size space you live in, whether it's large or small...if it has a lot of natural light or very little, you've got to incorporate plants in your design. Even if they're fake! Greenery adds so much warmth and life to a room that it's vital. It doesn't have to be a lot, either...just a small little something to give the room that finishing touch. Be sure that your home has a space for you! So many people are concerned about creating a design that others will enjoy--they entertain a lot or have guests visit often...etc, etc. That's all important to take into consideration, but this home is YOURS. You should have a place that you love in it too. So be sure to carve out that little personal space that you enjoy spending time in. Finally, mix textures and materials. Layering of fabrics can add so much depth to space! Sometimes it really doesn't matter if the space is designed perfectly...if it's comfortable and interesting, it's inviting and people will love it. Texture and a variety of materials will be your best friend as you try to accomplish this! Many people are stuck in the "what style is this?" mentality. I like that piece but does it fit my style or does it go with the style that I have? 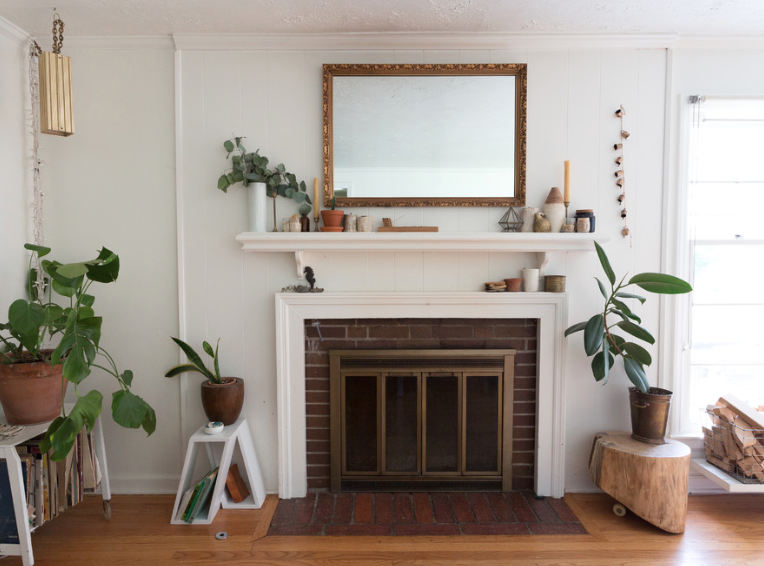 This thought process is good to go through because you want to be conscious about what you're putting in your home and how it all works together but there is also a sense where you don't have to be that worried. You want your home to be well-styled and pretty but you also don't want it to look like a model home...it should feel comfortable, almost collected so that's inviting to guests and exudes warmth rather than stiff style. Nobody likes stiff style. So don't be scared to mix a little of those things that you just like. Things that are pretty or interesting or that you've actually collected! These things are important too. Today, we're specifically going to talk about rustic pieces and how you can incorporate them in any style. Rustic really feels like a dated term. I guess it's accurate when it comes to describing the way these items look but it feels so constraining. Almost too specific. I think I like "distressed" or "weathered" better. Those terms are more about being worn-in or well-loved rather than just outdoorsy. Outdoorsy can fit under the "distressed" umbrella but everything that's "distressed" doesn't have to be outdoorsy...you know? Anyway! Distressed pieces often have a more casual feel so people don't think they can use them in very clean modern settings or even a more traditional, dressy setting, but both of these statements are false. Distressed pieces actually have a place in both of these styles because it helps balance them. Regardless of your style, there needs to be a good balance and if the style itself doesn't balance out on it's own then you might have to enlist elements from other styles! For example, a big woven basket is a great accessory in almost any type of space. It's functional, earthy, and comes in a variety of shapes and styles. Throw a big basket in a more traditional family room as a catch-all for blankets & pillows or for kids toys, or use it as a sculptural piece in a more modern space. Baskets work in kitchens, bedrooms, even bathrooms. Their functionally and styling impact are endless when used right so don't write them off just because they're not polished and clean. A farmhouse table would also be appropriate in many different styles of space. Dining tables in particular can really mix well in a number of different spaces because they are normally paired with chairs and the chairs can help tame down the casual feel of a weathered wood table. Pair an ultra modern chair with a rustic, farmhouse table and don't look back! Exposed shelving is a great way to add an earthy, warm element too. Because shelves are typically clean, straight lines, a little bit of warm wood just makes the space more interesting. Wood has a way of adding visual interest and warming things up which is great of really stiff spaces. In the same way, a worn leather or antiqued mirror can almost make something feel more expensive because it gives off the impression that this item is old and expensive and worth keeping around.